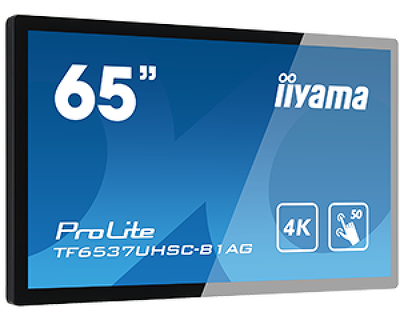 The new large format display, ProLite TF6537UHSC-B1AG, is a high end sleekly designed screen featuring high quality IPS panel guaranteeing exceptional color accuracy, high brightness and superior viewing angles. 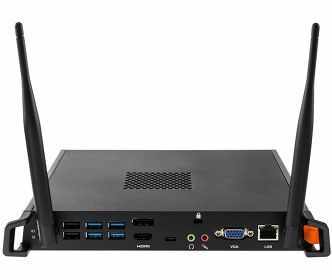 In addition, it also features 4K resolution (3840x2160 pixels) and offers therefore a gigantic viewable area with 4 times more information and work space than a Full HD screen. Due to the very high DPI, it displays amazingly detailed visuals. The solid and robust design is capable of withstanding the requirements of the most demanding environments. The advanced PCAP multi-touch technology allows up to 50 (!) simultaneous touch events, ensuring users enjoy the full richness of the interactive touch experience. Moreover, the screen features an Anti-Glare (AG) coating, which drastically reduces ambient reflection in high brightness environments without compromising the sharp clarity of the content. Incorporating LED-backlit technology and 24/7 design, TF6537UHSC-B1AG guarantees low power consumption and reliable long-term operation. It has been labeled A+ energy efficient by the European Commission. The professional appearance of the TF6537UHSC-B1AG incorporates a slim modern look with an eye catching ‘zero bezel’ design and a robust edge-to-edge glass front. The screen comes with 6H scratch resistant 5mm thick touch sensor glass, which is also 60950-1 ball drop test proof! A remarkably though screen that will withstand demanding applications, making it a very suitable display for use in public environment. 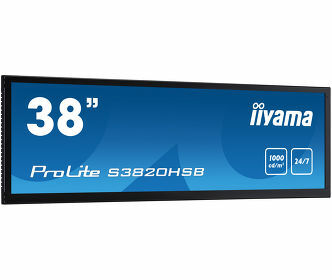 Landscape, portrait and face-up friendly, it is an excellent solution for Interactive Digital Signage, Instore Retail, Kiosks and Interactive Presentations, and one of the best commercial touch display investments. ProLite TF6537UHSC-B1AG is now available for sales and comes with a standard 3 years ‘on-site’ Advance Exchange Warranty*.